So who's hotter returns!! TENNIS STARS!! This topic: The Williams Sisters, the strongest force in tennis. So who do you think is Hotter? 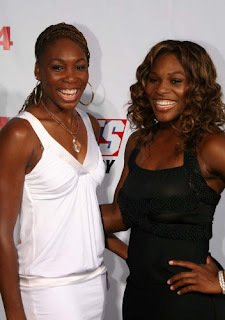 Venus Williams or Serena Williams? Or can you tell who is who? Or do you prefer the stacky Vera Zvonareva, the biggest bang to come out of Russia since they learned that fish have eggs too. Personally I'd go for any. I am not very picky.